How do you describe the splendid, fabulous, and best ever beauty in one word... Call it Kashmir!! The name only fills the heart with nature’s scenic indulgence. 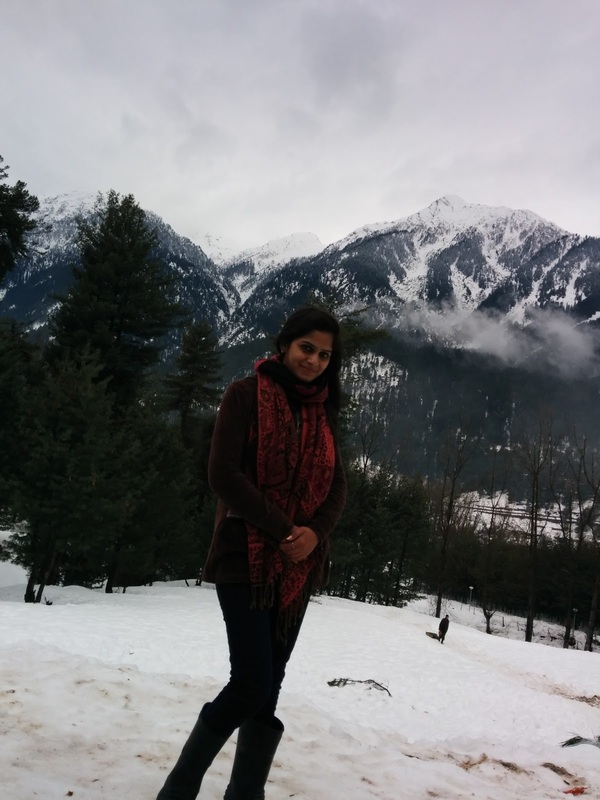 The Mother Nature has kept her heart in Kashmir. 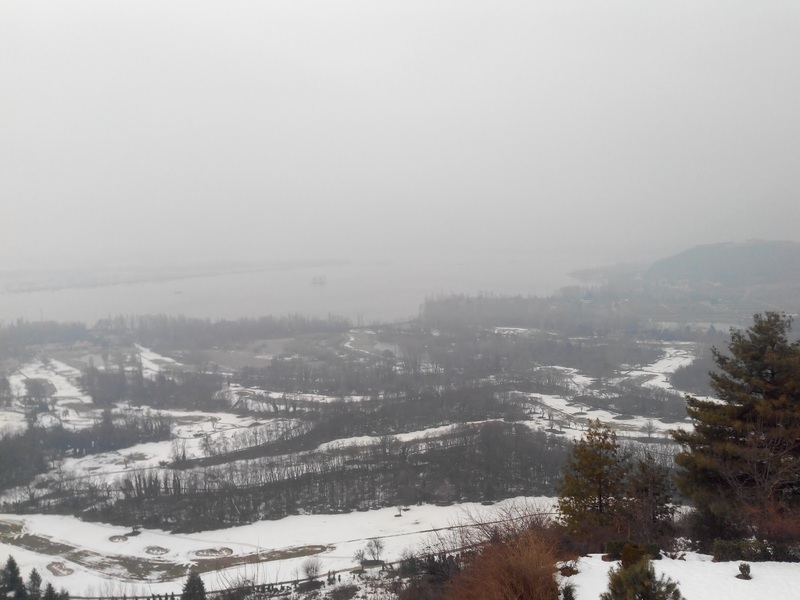 The very first glimpse of Srinagar will give you the feeling of divine. It felt like Mother Nature is welcoming with open arms saying “Welcome home my child! Come … I shall take away all your worries. This is the place you belong to and it’s been long since I wrapped my arms around you. Come sit in my lap and forget everything. Welcome home my dear child!!" 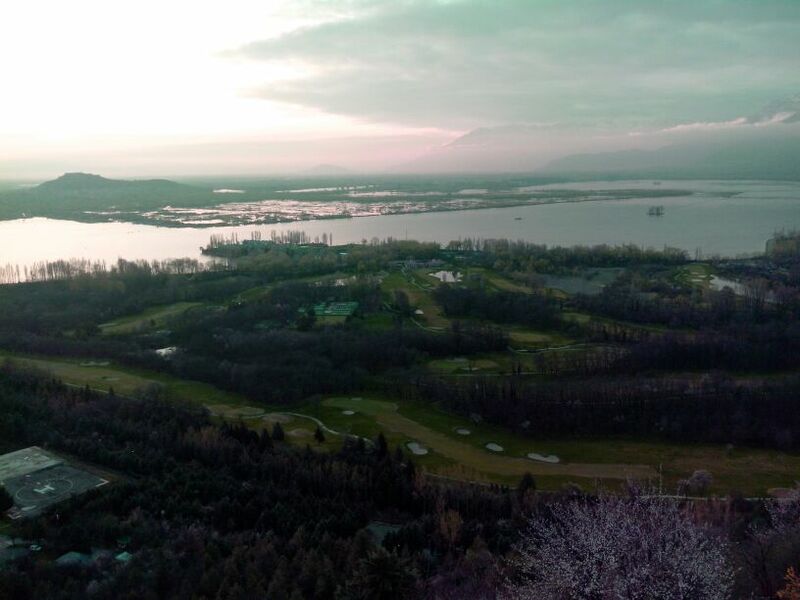 The mighty Dal Lake proudly claims the entire Srinagar valley. The remaining land has to reach best of its heights to make their presence felt.The tall & strong Chinar trees are guarding the land all across. 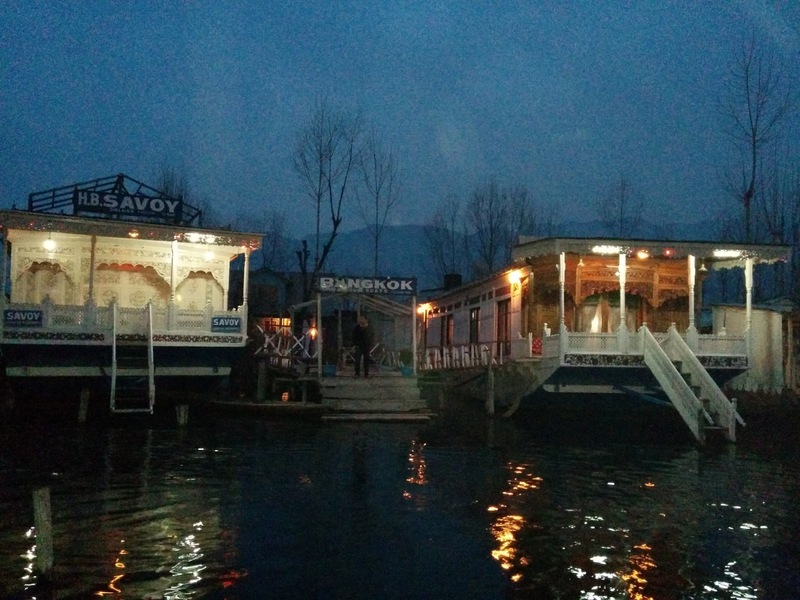 There is a famous landmark in Srinagar, an island on Dal Lake where four chinar trees stand, named Char Chinar. Locals told me Chinar leaves change colors as per the season like spring green to summer yellow to autumn brown & finally fall off in winters. 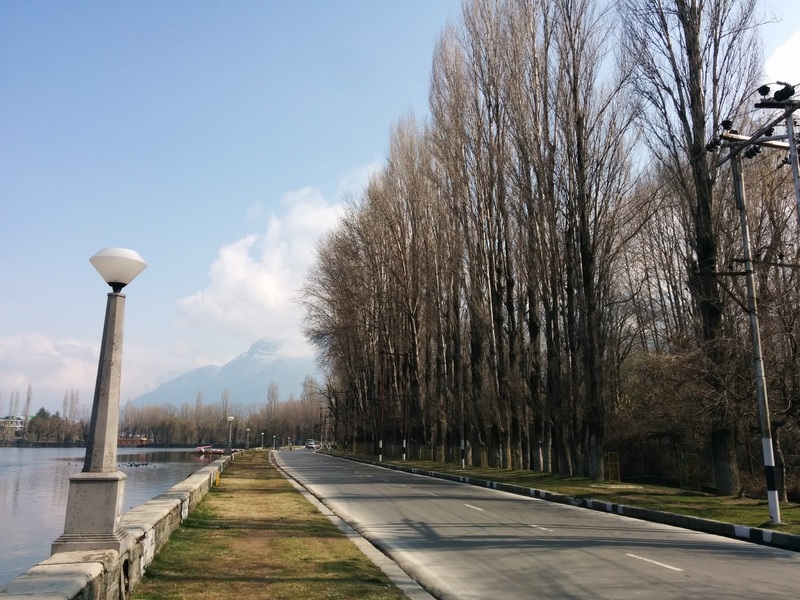 Believe me the beauty of Chinar even without leaf is also wonderful. 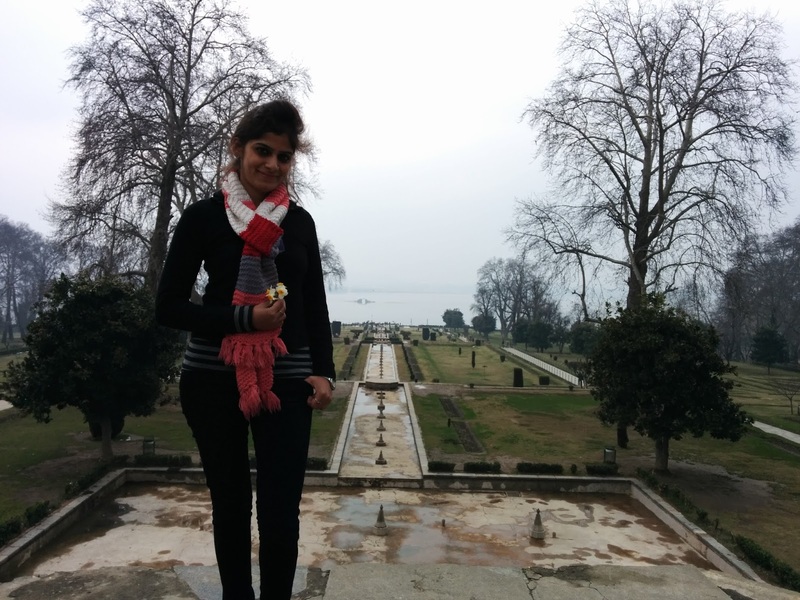 The chinars are so well built & crafted that I am compelled to re-think “can only flowers decorate the places?” Well the chinar answered me dropping his dry leaves over my hand that look, we don’t even need leaves to make places beautiful. Yes! 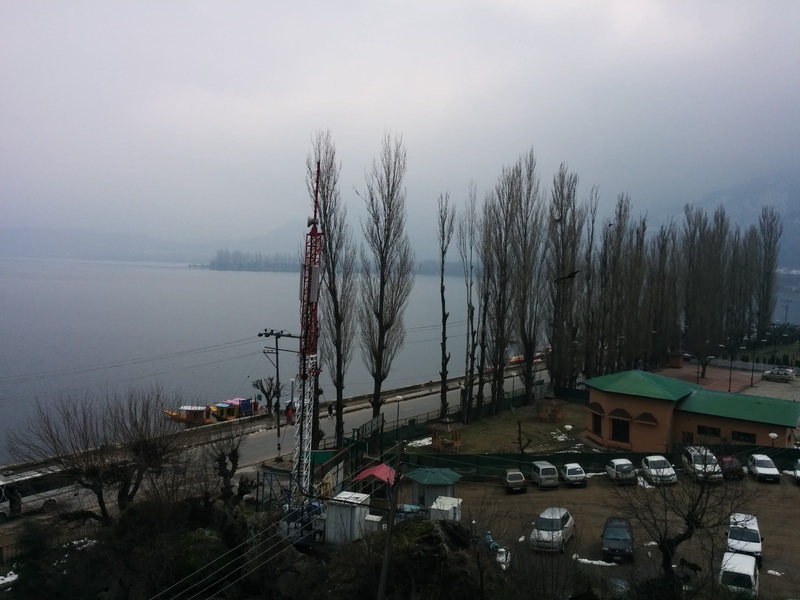 chinar trees are the jewel in the crown of Kashmir valley. Feeling blue!! 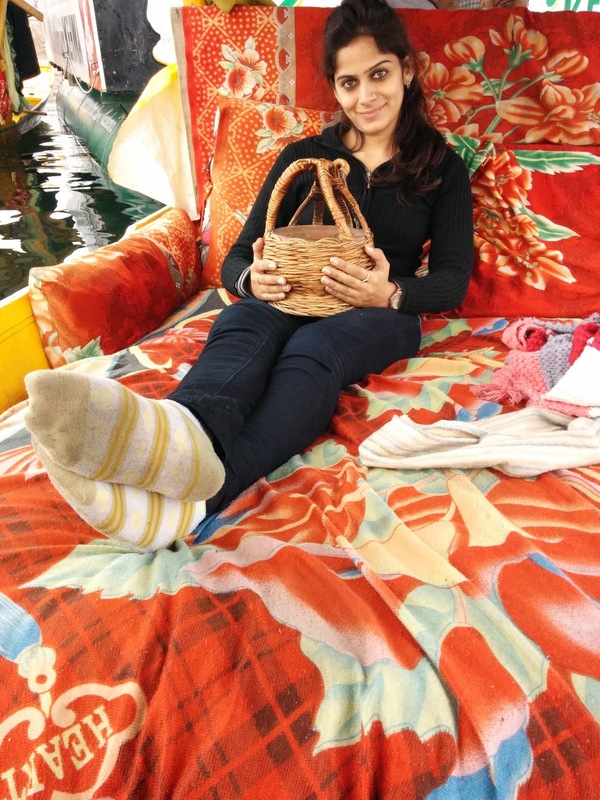 with Shikara ride in dal lake. I just took a deep breath yes! I am alive in each & every moment here. Wind is so fresh & water is so clear. 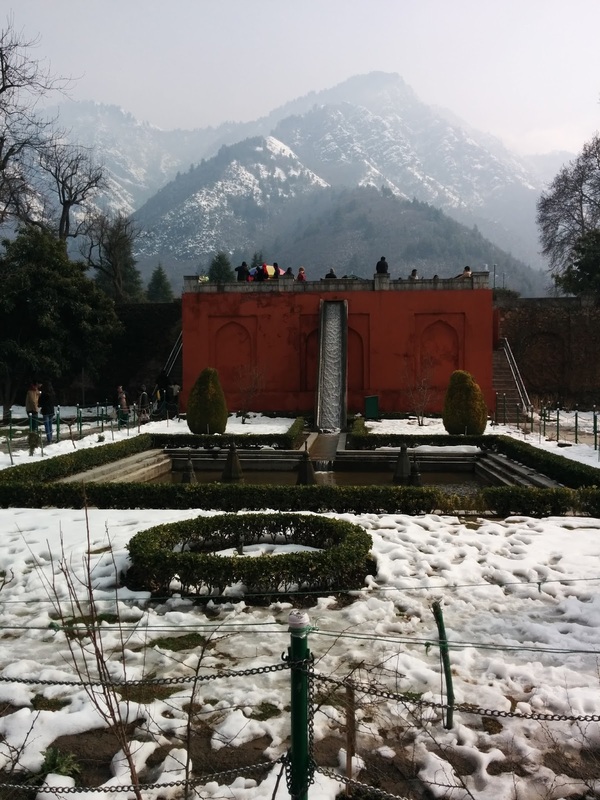 Beautiful snow filled mountains are just in front of me.I am looking around to the floating gardens, sprinkling the ice cold water over me, humming with the boat person to take part in his Kashmiri folk song. I closed my eyes trying to lock this very moment in my mind. Wow! it feels so amazing. It’s quite cold here, ohh I am just being offered a Kangri with coal inside it. Surprisingly Kangri is made up of wood but it doesn’t burn with coal. The locals could understand that this icy wind can harm my heath. 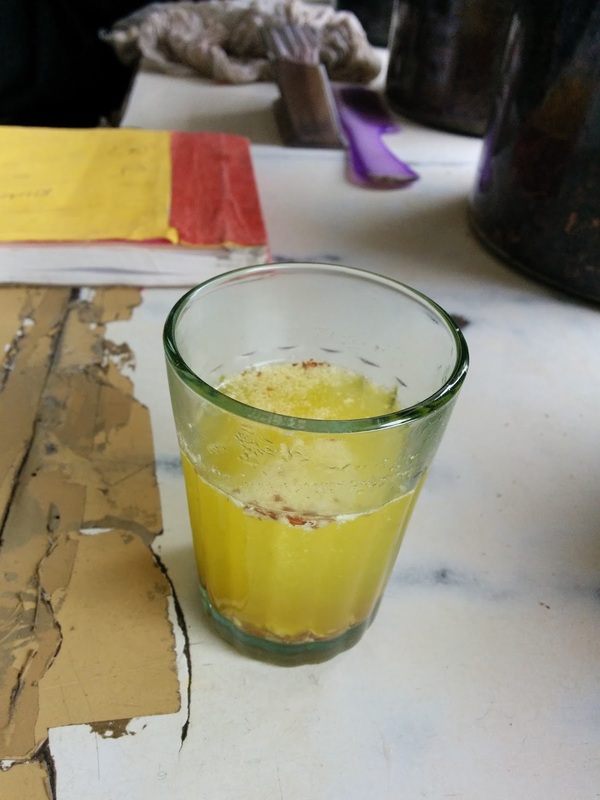 The best solution is “Kahawa” a special drink with saffron & dry frits which is good enough to help your body fight this cold. Although it is freezing cold but the warmth of Kashmiri hospitality is taking over it in the true sense of athi devo bhava. 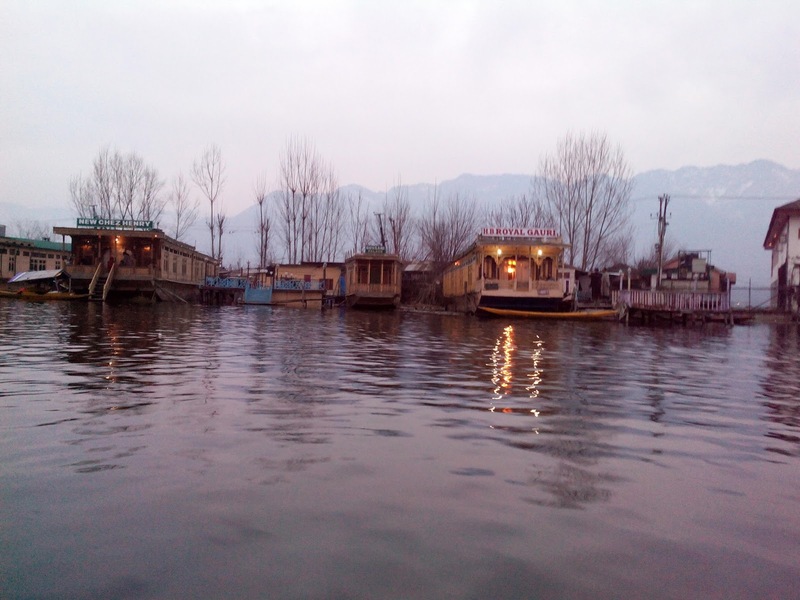 ShiKara ride with Kangri & Kesar Kahwa that’s what heavenly in Kashmir!! Well! by boat person told me I look exactly Kashmiri in this traditional dress. 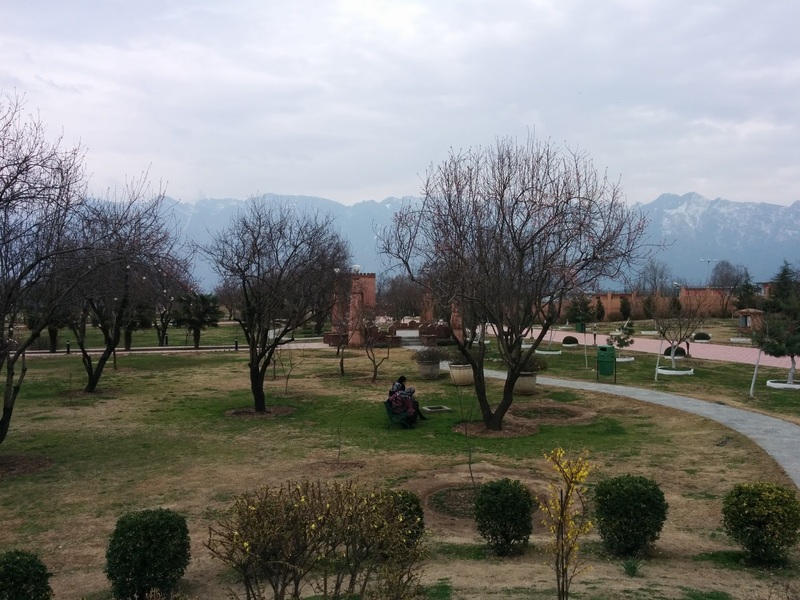 Nishat garden compiles all elements of Srinagar together. 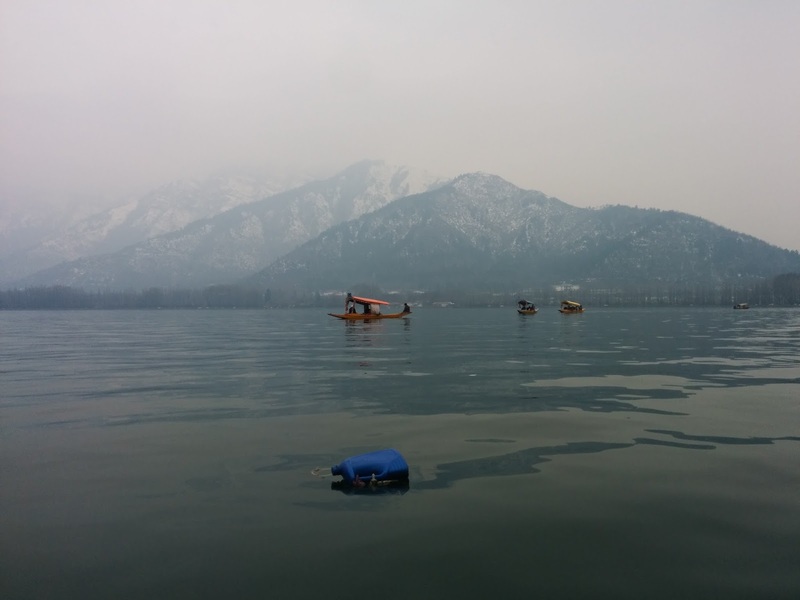 Feel the tenderness of different flowers, stare to amazing chinars, roll on the green grass, witness the breathtaking Dal view, sing your favorite song watching rhythmic moments of Shikars in Dal lake, lose yourself to snowcapped mysterious mountains. 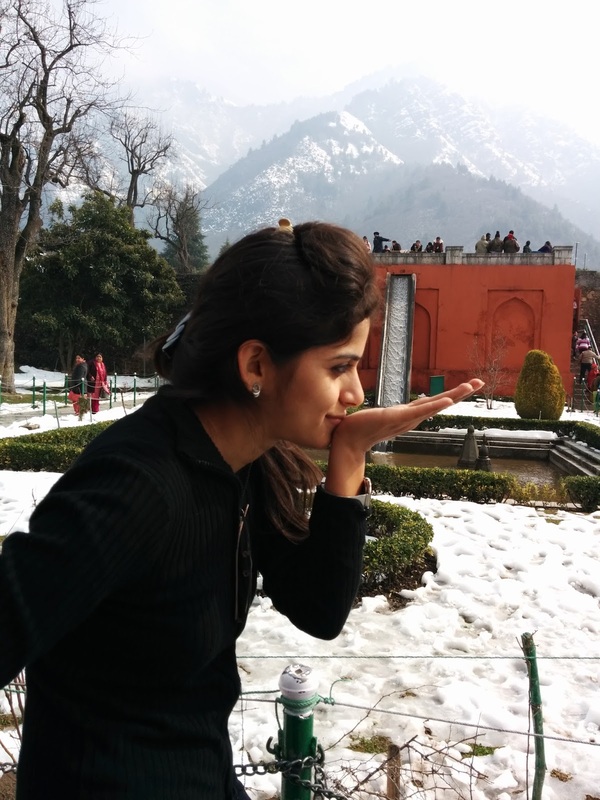 Kashmir is heaven on earth so angels must be the frequent visitors. 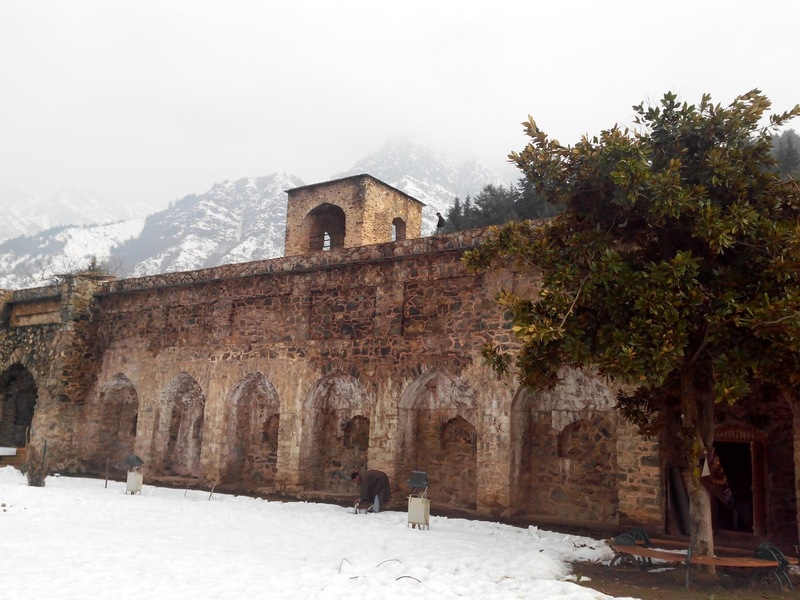 This is called Pari Mahal, a palace where angels use to stay. 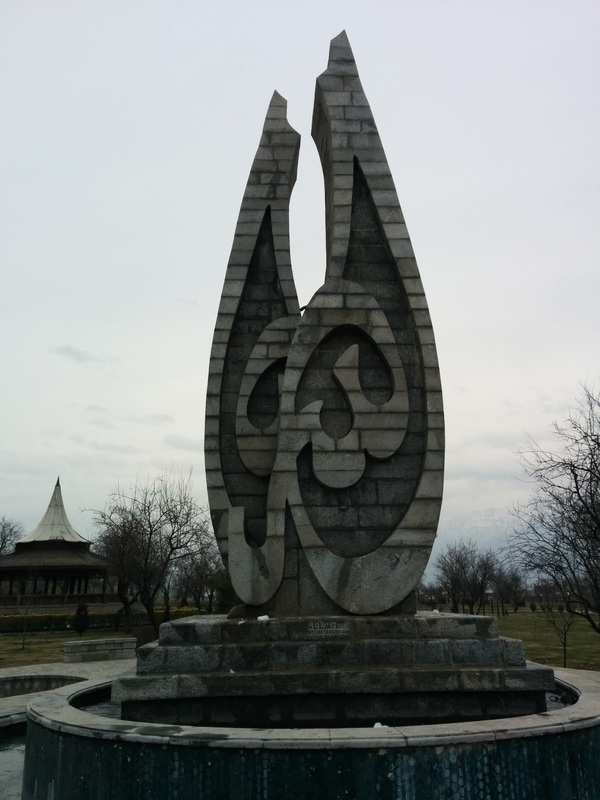 It’s built in some height so that angels can treasure the city view. Grand rooms & special swimming pool, almost everything what angels might need during their earthy heaven visit. Wait a minute! Did I just felt a flake around? Now there is no wind to feel, the sky is packed with gray clouds, a complete silence in atmosphere… and this marvelous white flower like flakes are floating in the air. Wow! It’s a snow fall. These snowflakes are very shy; they are just disappearing touching me. The entire city is dressing up in white wedding gown. 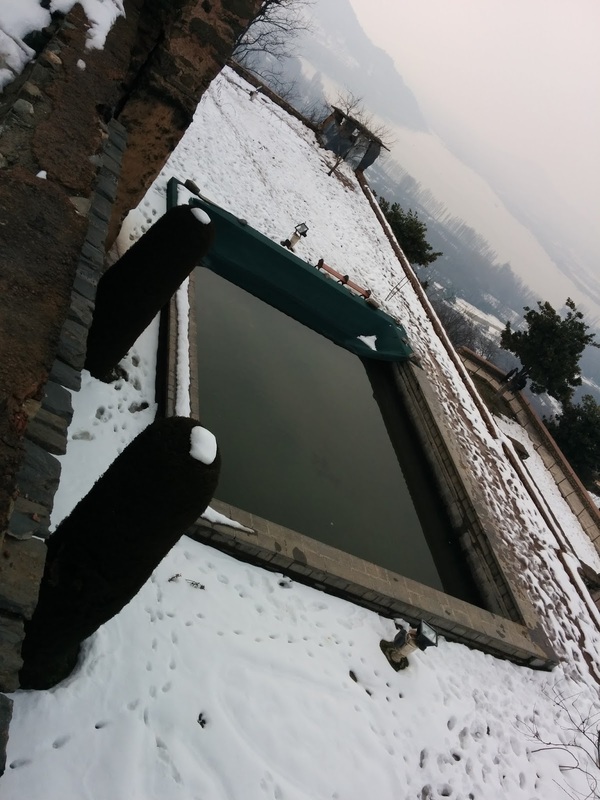 Like a beautiful bride flaunting her beauty at its best.Kashmir soil is very rich & fertile. Earth rewards the hard work with varieties of crops, apples, almonds, apricots, walnuts, saffron, vegetables, rice and much more. Locals told me Kashmiri people have never starved even if there is heavy snow fall 6 months a year. This land is truly blessed. Well while visiting heaven the obvious desire is to taste the Nectar. This divine land will fulfill your this wish as well. Chashma e shahi (heavenly water) where the water is said to be magical. This holy water has ability to cure many diseases like GI problems and Skin disorders. Surprisingly there is no visible source for this water stream and it is said that it comes from heaven. I can’t validate the fact of water from heaven but this is very tasty, sweet & pure. I am so refreshed & energized now. 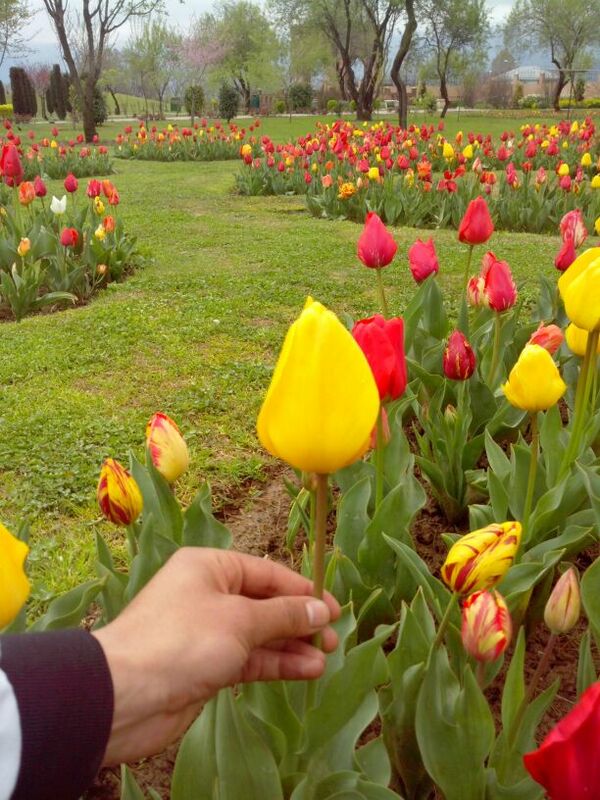 The world famous Tulip garden boasts of 60 varieties of multi-colored tulips. Around 2 million tulip bulbs bloom here resembling a beautiful carpet. After Holland this is the second most famous Tulip garden. To add the variety there is Badam vari (almond garden) with beautiful almond trees, many flowers & fountains.Quite obviously I don’t want this day to end but sun seems to have some plans on the other side of hill. So it’s evening. 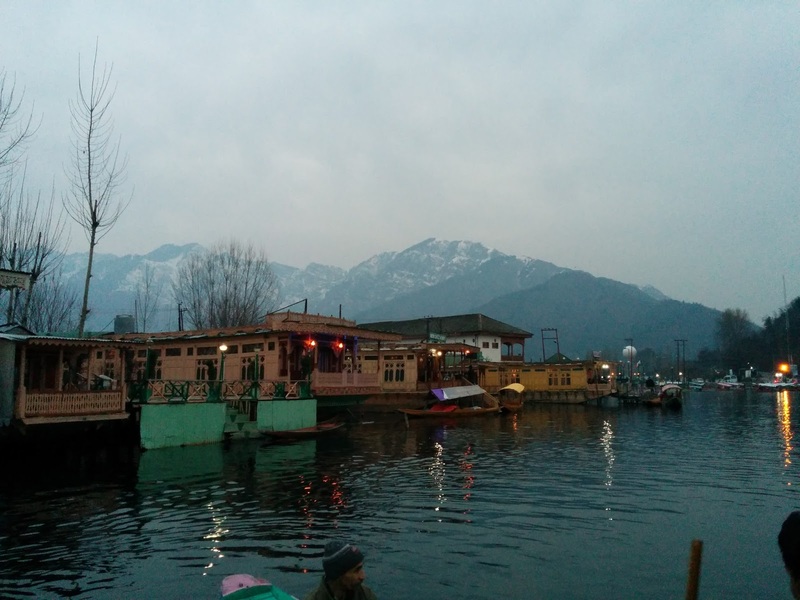 A relaxing evening at the bank of Dal Lake is a life time experience. 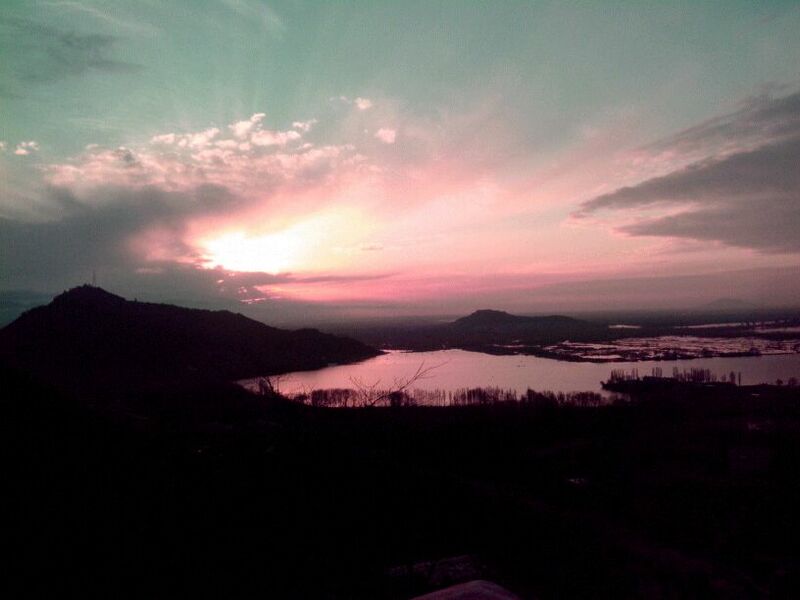 While the sun is slowly hiding behind the mountains, city is turning orange in Dal lake reflections. Shikaras & floating garden vegetable vendors are returning & people are gathering at different points over a cup of coffee ops I mean a cup of Kahawa. Now the lake is well lit with city & boat lights.The cool breeze is mixing with religious chants & adding to the delightful experience. I am feeling so calm & composed and realizing life is so beautiful. I always thought house is something which is static & rigid with the same view every time. 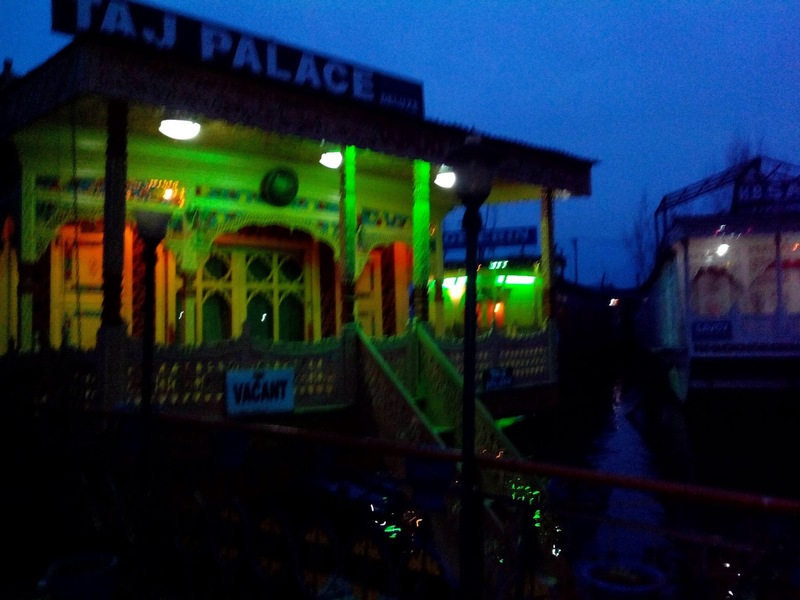 But I am wrong here in this bride like decorated house boat. My pretty house swims along with the gardens. 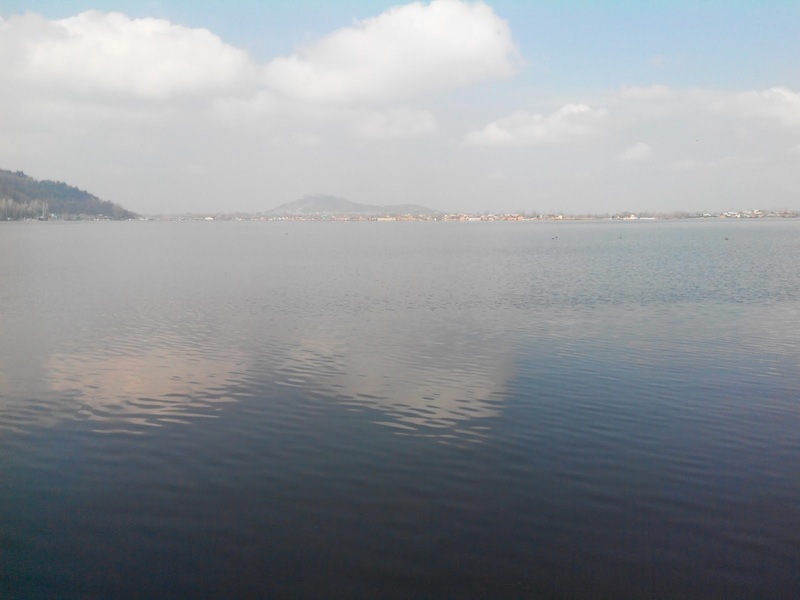 Sometime its near to the bank, sometime it is right in the middle of the Dal lake. My drawing room showing me mighty hills now & city view after some time. This is the best dinner over the lake (balcony) appreciating the view. A floating bed!! What else we need for a sound sleep. No music collection required since natural music of rhythmic wind is arranged for me. It’s like Mother Nature is singing night song for me & I am in her lap surrendering everything. Like Lucie Gray- the nature’s child, I Feeling home!!! This trip was first published on http://thetravellert.blogspot.in/.